THE SPOTTED HARE: Wednesday again? My, how quickly Wednesday's roll around. Many times I wish for more days in a week, or at the very least, more hours in my days! 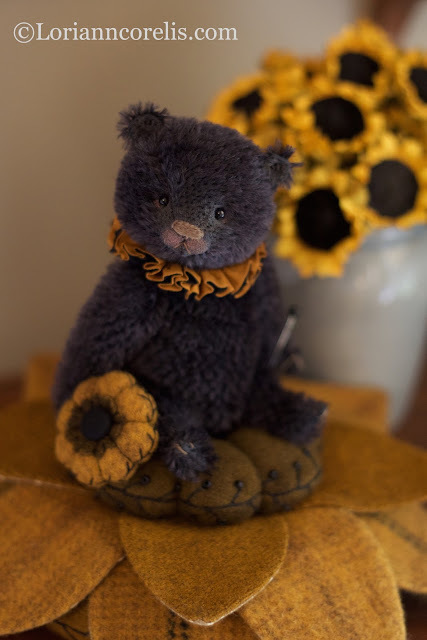 Sunny is a wee fellow of 6", created from soft black mohair. 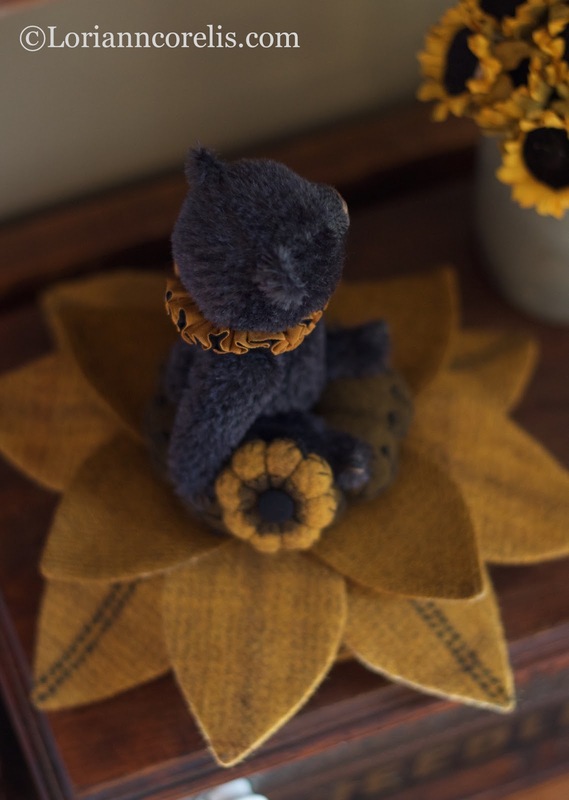 He sits atop a hand dyed woolen sunflower. Each of the 12 petals is lined with a reproduction civil war cotton. 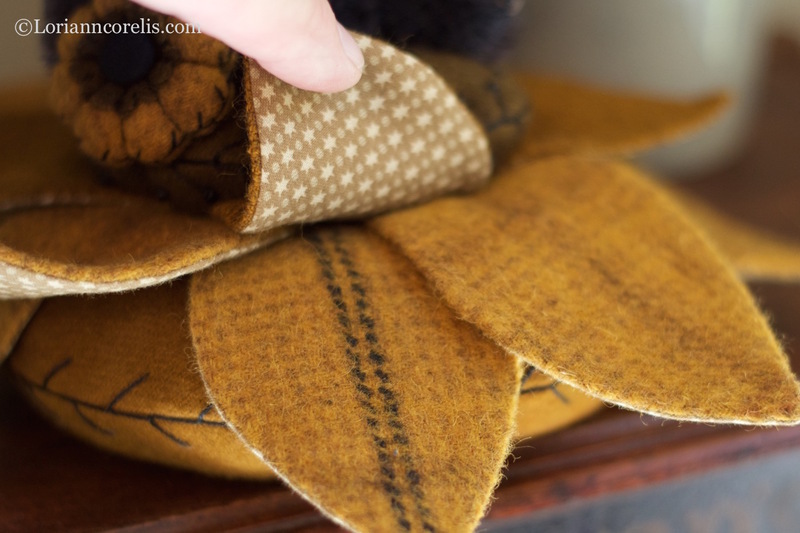 Petals are attached to a nicely weighted woolen tuffet base. The center of the sunflower is another tuffet of wool that is feather stitched and beaded. A tiny tuffet sunflower fob is attached with a black cord. Sunny wears a ruff of vintage ribbon. I love this wee fellow on a sunflower. 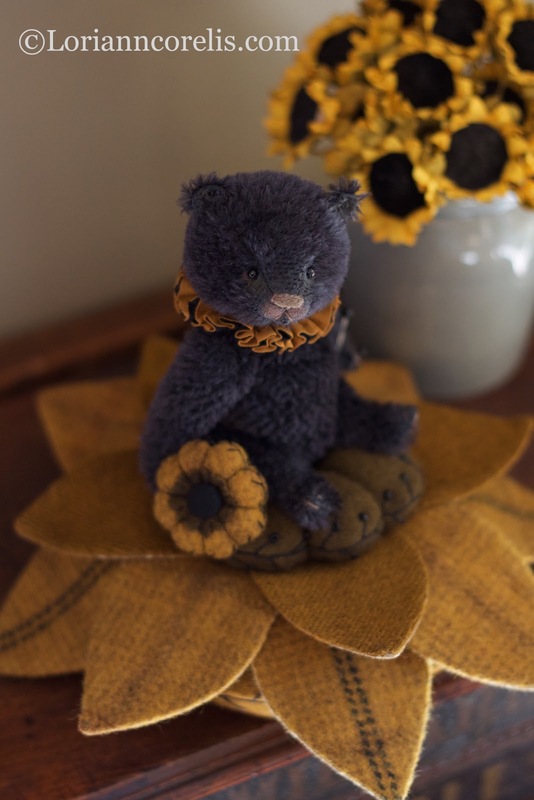 Just Beautiful Lori.. your work is outstanding!